One of the most popular pastimes on Internet-connected mobile phones is using a Twitter client for getting up to date news and information about the people and topics that you follow. With Twitter you can also speak directly to people and personalities you admire, from Hollywood stars to guys who write about technology. Among the coming features in Windows Phone 7 is integration (in the Mango release) between Twitter and the People Hub, something that already exists with Facebook being an active part of the phone. If you’re not prepared to wait for this, however, there are various Twitter apps available that allow you to Tweet, direct message and add photos, videos and links to your updates. Each of the following apps is available exclusively from the Windows Phone Marketplace. The most obvious app to start off with is of course the official Twitter app, which offers support for multiple accounts, retweets, direct messaging and mentions, as well as the ability to send photos, shorten URLs and reveal location information. Tapping out a new tweet is child's play with the speed of the Windows Phone 7 keyboard, and you can also add hashtags for people to find your tweets if they're about a specific subject. Obviously, pretty much all of the Twitter functions are present in this app, which means there is a pretty high bar set for the other apps to try and match or even surpass. Twitter have spent quite a bit of energy reshaping their API over the past few months in order to retain control over the network and prevent third party apps from adding any additional, non-approved features. You only have to look at their purchase of TweetDeck to see how far Twitter are prepared to go to protect the service, and this has extended to attempting to control available mobile apps. As such, you might need to select your "non-Twitter" Twitter app carefully, just in case it ends up being forcibly closed or bought-out by Twitter. 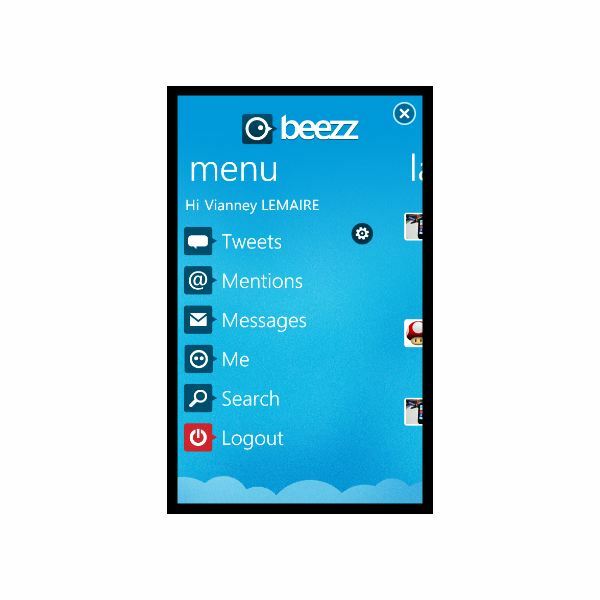 One app which hopefully won't fall under the scythe of Twitter is Beezz, a nicely presented app which combines tweets, mentions, and direct messages with some more interesting information such as a list of your followers and current trending tags, all delivered with the integration with the Metro user interface that you would expect from a quality app. 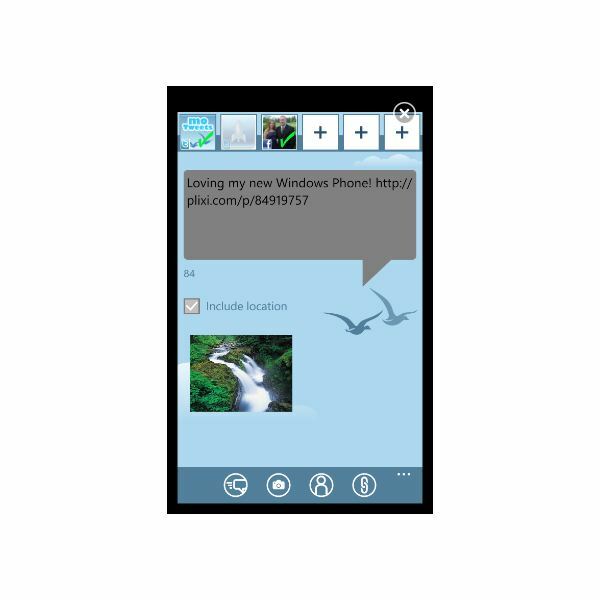 Another alternative to the official app is Birdsong, a Twitter client for Windows Phone 7 which features the ability to add multiple accounts, sort people you follow into groups of favourites and all of the usual tweeting tools for direct messages, mentions, location services and photographs. A search tool is also thrown in, and Birdsong is an easy to use, slick app. 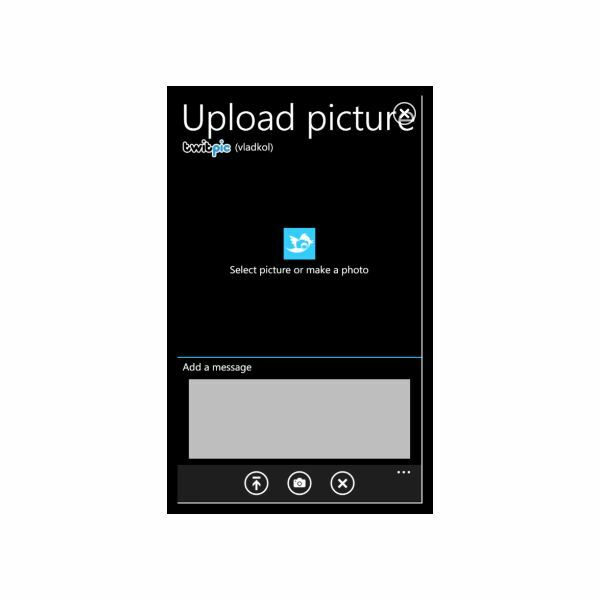 Additionally, live tile notifications are available by using the Pin to Start function in WP7. Birdsong is available from the Windows Phone Marketplace for just 79p, although a free trial is available. 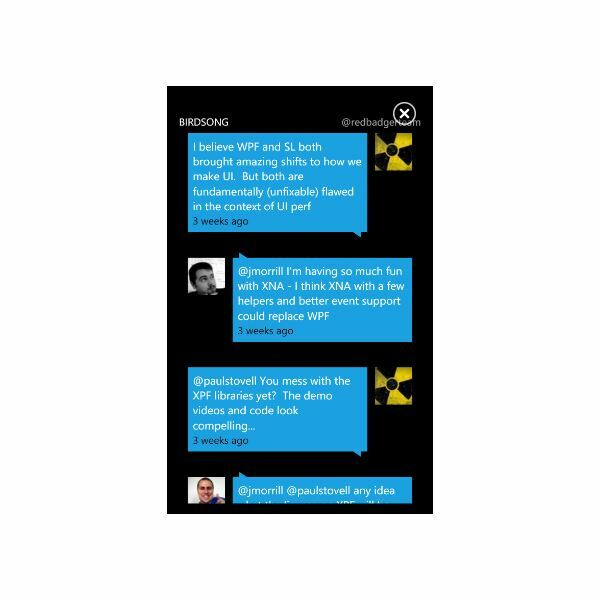 MoTweets is an interesting option for any Windows Phone Twitter users who have upgraded from Windows Mobile. The same app was available on the older mobile OS, and was among the best Twitter clients for that platform. 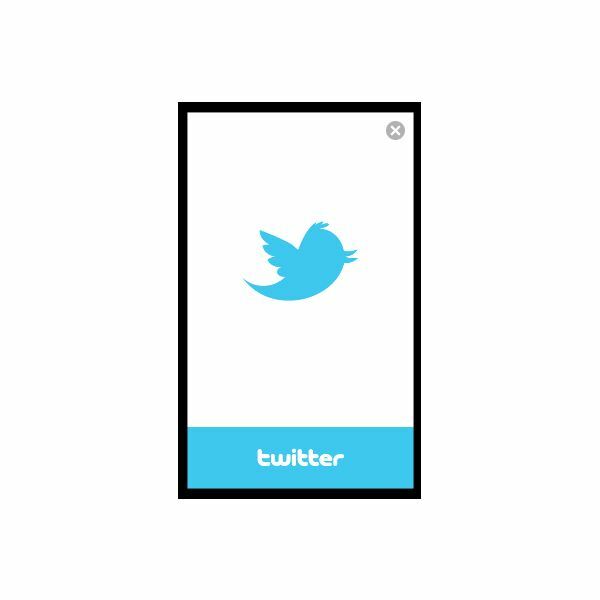 Where MoTweets made a difference was in its approach to the user interface, something that it attempts to replicate on Windows Phone 7 with some success, combining buttons with the slick Metro UI to deliver a multi-functioning Twitter experience. Two versions of MoTweets are available: the free version is ad-supported, so you might prefer to give this a miss in favour of the £1.99 (UK price) premium, ad-free version. Not everyone who uses Twitter employs words to get their message across. There is a bustling sub-community of photo tweeters, whose phone-mounted cameras come in very useful when they want to share what they're up to or seeing with the rest of the world. If you're interested in this, Pic-O-Twit makes it much easier than uploading an image to Twitpic via a standard Twitter app. Instead of finding the camera button and snapping an image, Pic-O-Twit starts off with a choice of camera or Pictures Hub and lets you upload from there, cutting out any messing about that other apps might add at this stage. Easy to use, and great fun, Pic-O-Twit is free from the Windows Phone Marketplace. All screenshots from the Windows Phone Marketplace.